Beauty Professor: Last Day of August FOTD + Armani Brow Maestro...Swatches of Every Shade! Omg -I needed your swatches last week -but now I am excited to get my picks -these are so pretty! As a shadow -any application tips? I just use a small tapered eyeshadow brush and blend this across my eyelid, diffusing up to the browbone. It is so easy and lasts so long without creasing or fading! A little goes a long way...this formula is concentrated! Have fun with it and let me know your thoughts! This is a really beautiful lip on you. BP, is the Tom Ford foundation a real must have? Would you consider it a better buy than the YSL or your other faves? Also, have you seen or tried the Chanel VL Aqua powder foundation yet? I haven't tried the new Chanel powder yet but will be keeping an eye out for it ; ) Let me know when you see it! 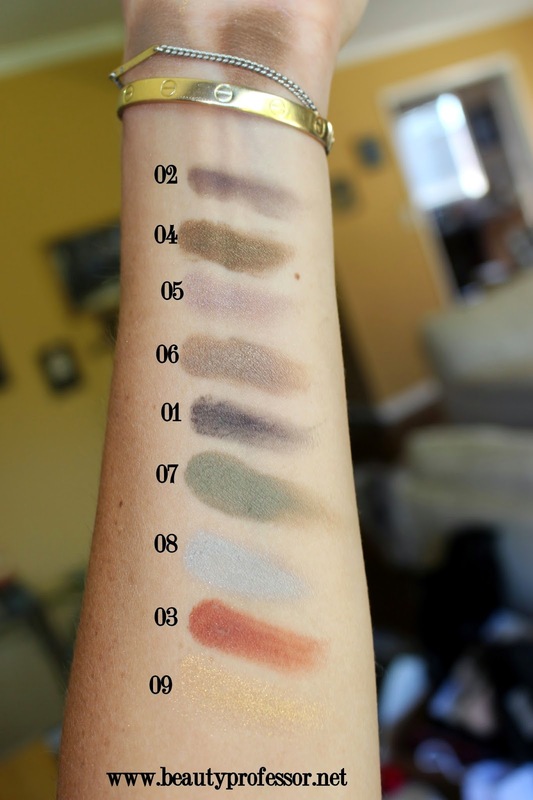 You swatched No. 6 but didn't include it in your comments about the colors. Did you have a recommendation for it?